Adding phasing effects is one of the oldest tricks for widening your sound. Back in the 1970s, everybody was using that warm, subtle, one-knob phasing sound. 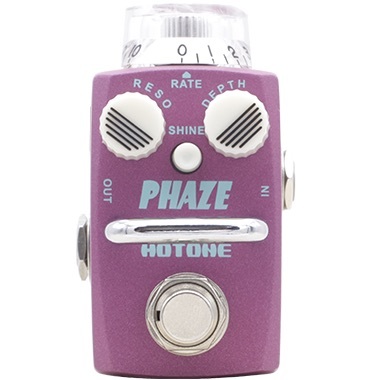 Hotone's all-analog Phaze pedal captures that silky phasing effect but then gives you so much more. Use the RESO, DEPTH and RATE knobs to create your own phasing sound—from subtle nuances to twisted textures. Phaze is a staple for both rhythm and lead styles. 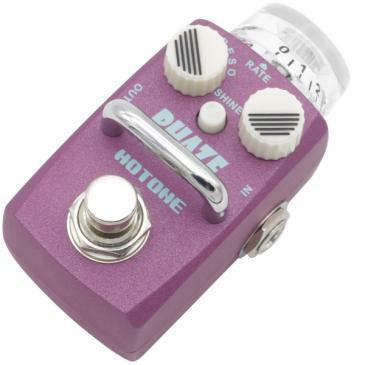 Push the SHINE button to shift the phaser into a brighter, shimmering tone.